Jen Wasilenchuk’s Z Wave story can be read in full, below. “Back in 2010, the Arbutus Laser Centre was one of the first clinics to start treating patients with the CoolSculpting device. As the body contouring technician at our centre, I was the first subject to be treated. The trainer explained the massage theory to us. She performed a very light, short massage after the 1st CoolSculpting cycle on my lower abdomen. Because of the sensation I was having, I asked her not to massage after the 2nd cycle was complete on the other side. Little did we know this would lead to significant findings in the future. Two months later, I was very happy with my results, but did notice a slight size difference between the two sides. I contacted the CoolSculpting company to let them know. In return, they asked us if we were interested in doing a one-sided massage study. There was a timed and structured two-minute massage performed on several subjects. For each subject, one side of the body was massaged, while the other side was not massaged. When the patients came back for their 2 month follow up, the results were very exciting. It was obvious which side of the lower abdomen had been massaged. I was so happy to be a part of this theory turned into reality. I have seen my share of CoolSculpting videos on YouTube and I’ve noticed the inconsistency in technicians’ massages. Some are very soft and gentle, while others are more aggressive; it’s just all over the map. We were approached by Zimmer MedizinSystems in Irvine, California, to perform an in-house trial. We were to use the Z Wave device post-treatment instead of manual massage. As a technician, I love it. For starters, I didn’t have to set my 2-minute timer. The Z Wave is already preprogrammed. Just turn it on and we have consistency across the board. Now, I can have my colleague remove the applicator for me and I know that the massage will be even on both sides. We had some other exciting findings: 8 out of 10 patients saw their results more quickly and found that the Z Wave side recovered faster than the manual massage side. Utilizing soft pulse technology for patient comfort, Z Wave delivers mild, consistent sound wave therapy to the treatment area. When used as an adjunct in Cryolipolysis (Coolsculpting), liposuction and other body contouring procedures, it enhances results, reduces swelling, expedites lymphatic drainage and helps the body heal better and quicker. In 2018, Arbutus Laser Centre celebrates its 25 year anniversary at its Vancouver location. The facility offers laser treatments, skin surgery and more using state-of-the-art technology. Some of the cosmetic services performed at the office include laser hair removal, dermal fillers and other injectables, skin resurfacing, skin rejuvenation, body contouring, tattoo removal, spider vein reduction, age spot removal and treatment for port wine stains. They also offer traditional dermatological and medical procedures for concerns like moles, freckles, skin tags, snoring, and nasal & tonsil obstruction. Jen Wasilenchuk has been employed at the office for 15 years. 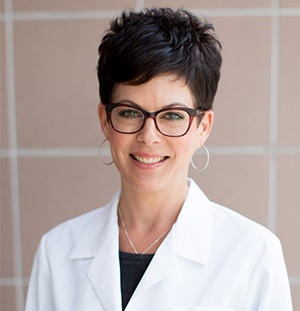 In addition to her work as a Body Contouring Technician, she coordinates clinical trials in CoolSculpting. The website for Arbutus Laser Centre states that Wasilenchuk was able to show a 30% improvement in results. To learn more about treatments offered at Arbutus Laser Centre, you may visit them online at www.arbutuslaser.com. The facility is located in Vancouver, B.C. Canada. For more information about the Zimmer Z Wave device, please view a web overview of the product. A short video, “Z WavePro – How It Works” is also available to view on the web page. Contact Zimmer with questions any time by phone or email. Jen Wasilenchuk shared these comments about Zimmer Z Wave technology without compensation.